My name is Capt. Robert Anderson. 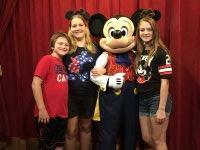 We will be traveling to Florida this year for spring break to see our family, and would like to take our children to the Magic Kingdom to meet some of their favorite characters. In particular, we would like to have our son with Autism, Ross, meet his favorite character from Toy Story, Mr. Potatohead. 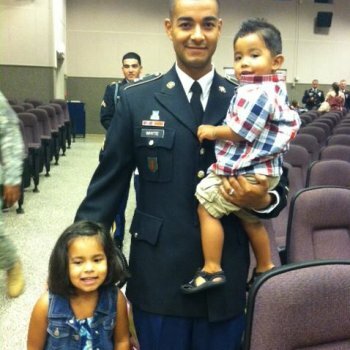 I have been in the military for 13 years and owe a great deal of my success to my wife and children. Unfortunately, with five children, affording a day visit to the park is just not feasible at this point. My children (11, 7, 6, 4, and 3) have faced significant hardship as Army children, and I would like to reward them with a surprise day at the Magic Kingdom. 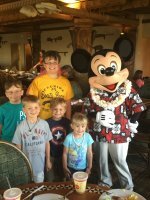 7 tickets to the Magic Kingdom is just not feasible for our family right now.I would like to surprise them with a visit to the Magic Kingdom to honor them for all they have done for me. Thank you so very much for giving us the opportunity to enjoy Disney World together as a family. We don't get very much family time, and the days we spent at Disney World will be a wonderful memory for all of us. Above all, your generosity gave us the gift of time spent together, something rarely afforded to military families. Please know you have changed 7 lives for the better, and we could not be more grateful. Greetings, My name is Melvin. I am a Purple Heart wounded veteran. I've been on numerous deployments and of course any veteran that can relate will tell you it can take a toll on you physically and mentally. PTSD and depression should never be taken lightly. 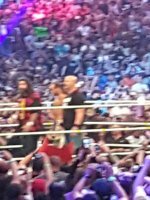 I'm a huge WWE fan. 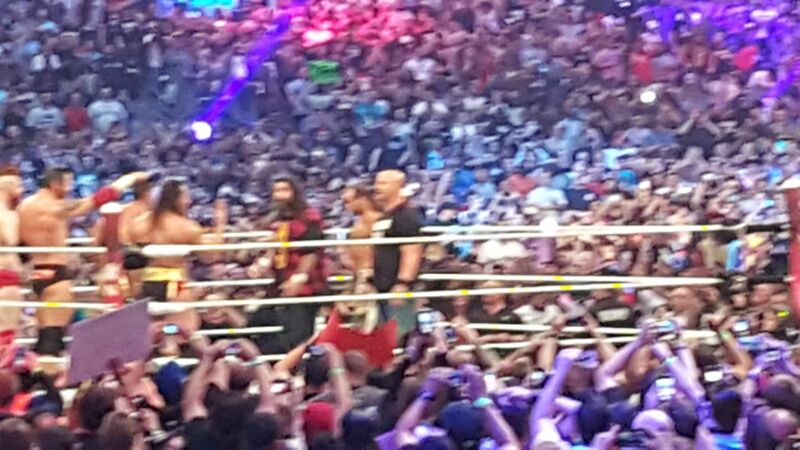 My only wish is to attend WWE WrestleMania 32 in Dallas and/or WWE Monday Night raw in San Antonio. I've never personally attended an event such as this. My son would always ask me if he can ever go and experience what that's like but I can't afford that opportunity whenever they're in town. It's never nice to see the frowns on his face every time WWE is within the vicinity. It would mean the world to me to see his facial expression to have him attend a live event such as this. I know things like this happen only once in a lifetime but the memories will always be priceless. Thank you in advance for taking the time to read this letter. Thank you and God Bless. I have a family of 7 so at times it is hard for me to afford to take my family to do fun things like this so I'm hoping this will allow me to do that for them. I 'am requesting 6 three day hopper tickets to Disneyland in Anaheim Ca. 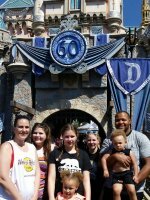 6 three day hopper tickets to Disneyland in Anaheim Ca for me, my wife, and five kids. Didn't ask for the last because my youngest is 1. 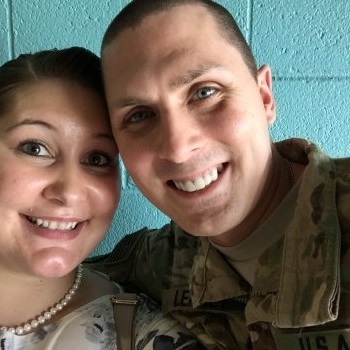 Me and my wife have been married for 2 years now but we have been together for 5 years I have completed 2 deployments since being together both for a total of about 12 months first to Afghanistan then to Japan. My wife has been a trooper taking care of 5 kids while I have been away and I KNOW that I couldn't do it and all of this was less than a year after having my son and having very major complications and doing so, so much so that she almost died. Thank you! 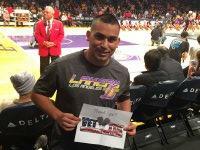 I just want to thank Vettix and my donors for giving this opportunity to my family. 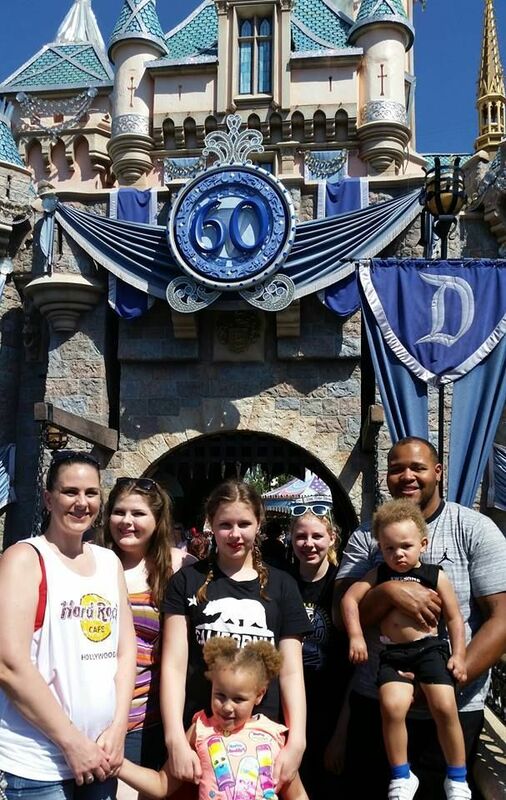 This trip meant the world to us it allowed our family to visit Disneyland for the first time as a family, and allowed us to go before our oldest daughter graduated from high school. People like you guys really show us veterans that people really do care about us and it will definitely not be forgotten. P.S. WE ARE HAVING A GREAT TIME!!! Hi my name is SPC. Omar Herrera. I am huge fan of the Lakers yet never been to their games. As Kobe plays his last games, I would enjoy going to one of his games before he retires. I love the infantry. Never for a second doubt what I've done. 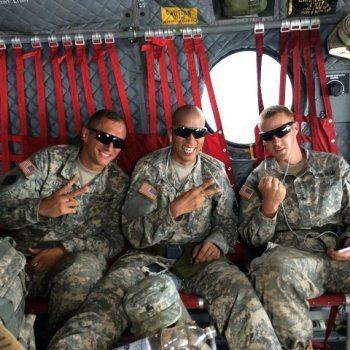 Since I have left the military after being wounded I never found that fulfilling feeling. After being married to my wife, she changed my world. I would love to take my wife and to this event. I want to thank Vet Tix and Earle M. Jorgensen Company for making my wish come true. Never in my wildest dreams that I imagine seating front row seeing Kobe playing one of his last games. My family and friends had a great time. Thank you. Thank you for all those who donated to support my trip to Disney world! You have no idea what it meant to us. 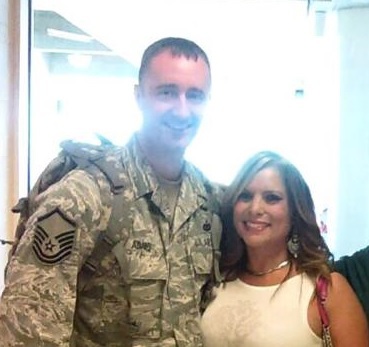 I am SSgt Robert Bond and have served in the Air Force for over 11 years. I have been married to my beautiful wife for almost 10 years now and we have 2 beautiful children. This deployment I am missing a birthday, and the Holidays during this time away. As my return home approaches and my 10 year wedding anniversary peaks its head around the corner I've been trying to find a way to do something really special for my family when I return home. I have known of Vet Tix for a while now but recently learned of the Hero's Wish program and thought, hey it never hurts to ask right! 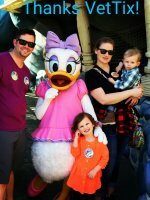 So I would LOVE for 3 Disneyland in Anaheim CA 3-Day Park Hopper Tickets for myself, my wife and my soon to be 4 year old, my son is just turning 2 so he will not need a ticket. 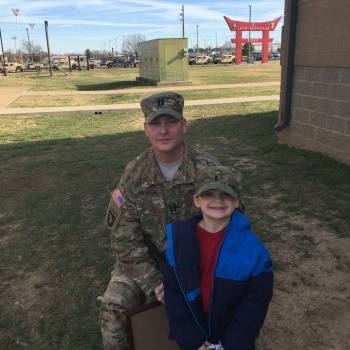 This deployment came a few months after a PCS so it would be really welcomed to take a family vacation to reconnect after this hectic time away from one another. Thank you to the wonderful supporters of Vet Tix and to the awesome folks who created and continue to operate this wonderful non-profit organization for the opportunity. Thank You! 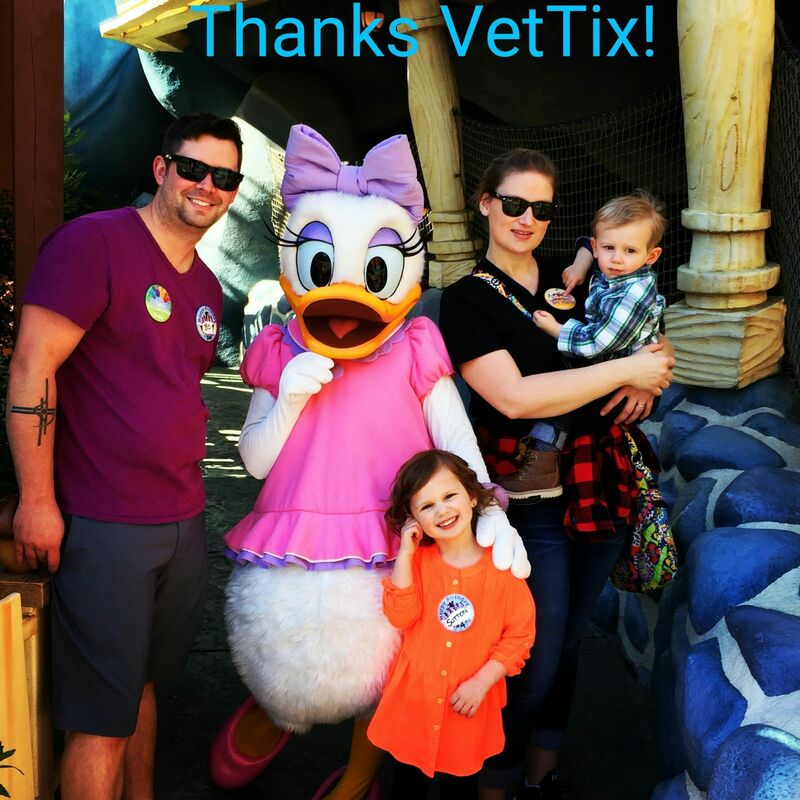 Thank you so much Vet Tix and all their wonderful sponsors, especially Stage 3 Motorsports that made my family's trip to Disneyland possible! We ended up going during my now 4 year olds' birthday and she absolutely LOVED having everyone at Disneyland tell her Happy Birthday! This was exactly what my family needed after my return from deployment. 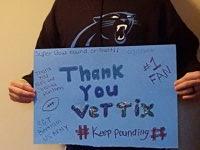 Vet Tix and everyone that provides donations towards them, Thank You So Much! You are making a different in service members lives, past and present and this organization is one of the best ones out there supporting the troops! Hello I am SGT Darren Bertram, I ama die hard Carolina Panthers fan since 2003 the year they went to the Super Bowl. I was born and raised in NC and I would love to go see the Carolina Panthers play in a home playoff game. I do not know if it will be wildcard weekend or divisional round weekend, but either would be great. I been to a regular season game a few time, but a playoff game would be a once in a lifetime event, and the best Christmas present I could ever receive. I would love to attend, but I can not afford it on my own. 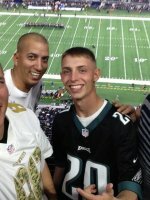 I lost my best friend during my first deployment to a IED, and I use football as a copping device as he loved football too. I even stay up past midnight during my deployments to watch football as I were 8 hours ahead. With me being gone all the time due to deployments and training this event would be a time that my wife and I can spend together and would value the rest of our lives. Thank you so much for reading. Thank you for your time and consideration. 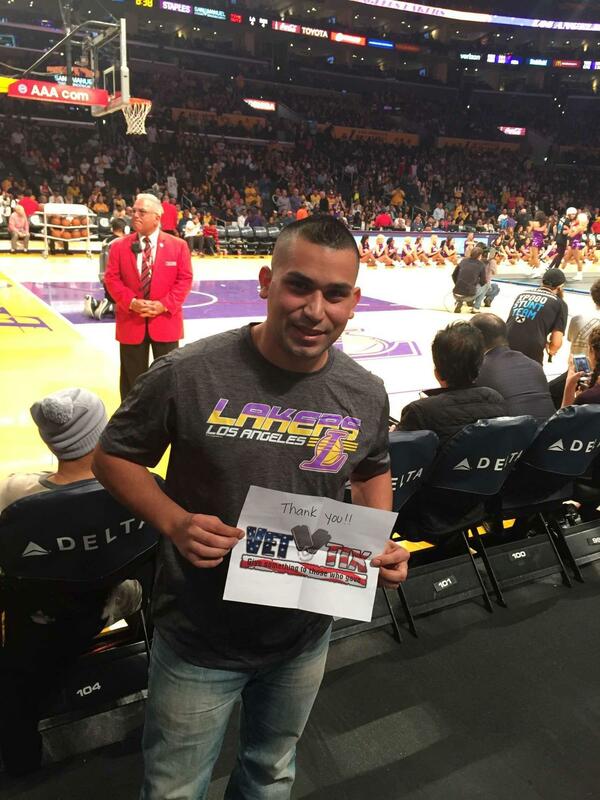 Thank you vettix and the donors who made my dream come true. My wife and I are very grateful and will never forget this experience. 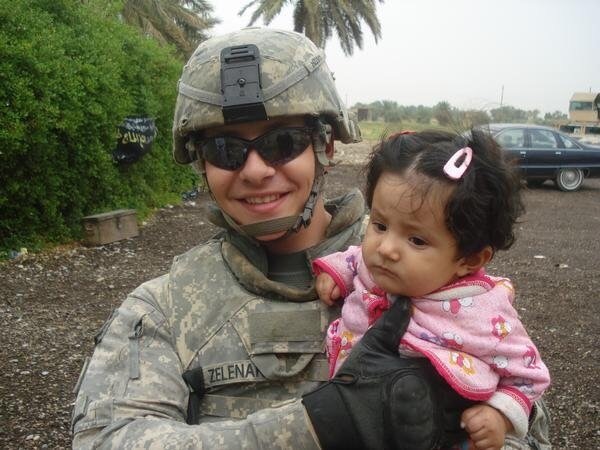 My name is SGT Justin Zelenak. 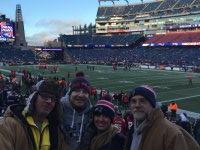 My wish is to go to the 2016 New England Patriots playoff game with my amazing wife. 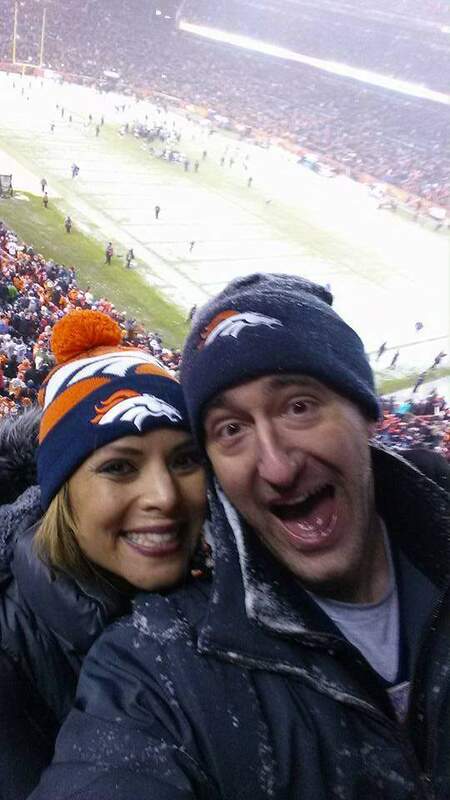 It would be my first time at a game with my wife. I love what I do for my country. I joined in 2007 to serve and protect my future friends and family. I went to BCT in Fort Jackson, NC, then to Aberdeen Proving Grounds in Maryland to complete my AIT. My first duty station was Baumholder, Germany. I was then shipped to Iraq for 1 year and 3 months. They made me a part of a PSD team transporting high ranking officials, detainees, and also working with Civil Affairs. 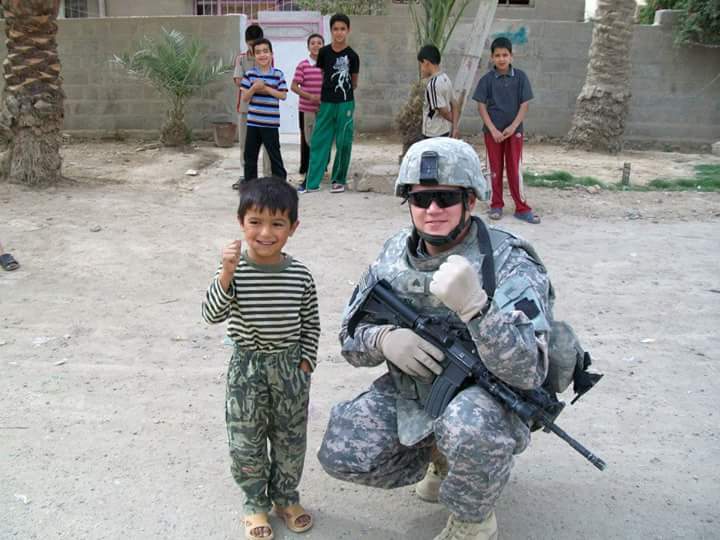 I was part of a great mission helping Iraqi nationals build schools, water facilities, waste systems, and even played sports with the kids. Half way thru my deployment I received a Red-Cross message stating that my mother is dying with stage-4 cancer spreading thru out her body. I was immediately sent home. On my way to the hospital my mother passed away. They sent me back to Iraq after 7 days of emergency leave. Three quarters of the way thru the deployment I received another Red-Cross message stating my Father passed away. The time I was deployed I went thru 2 funerals and lost 3 friends. 2008-2009. In 2010 I got out and decided to go to college for Criminal Justice. I met my wife in college. We got married in 2012 and now have 2 children that are amazing. My wife has been with me thru thick and thin. I am back on Active duty to support my family so my wife can be home with the children. 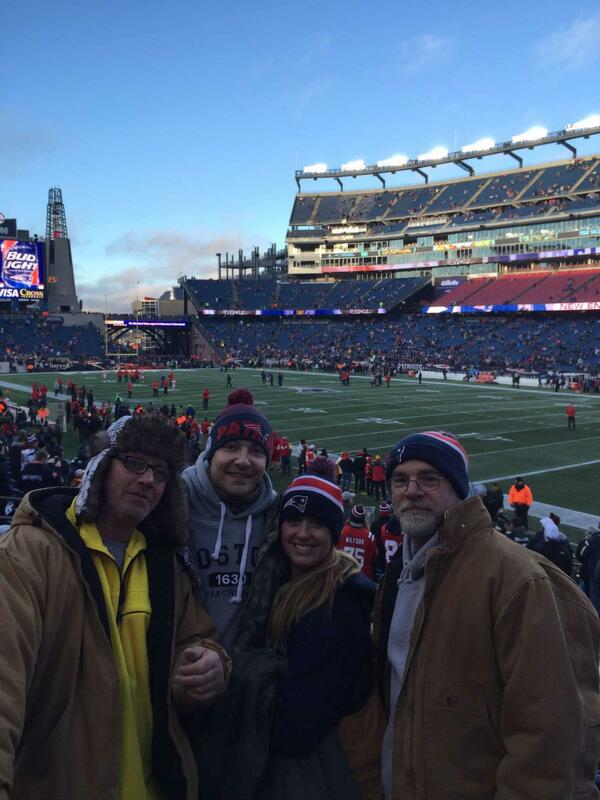 My biggest wish is to take my wife to the Patriots playoff game. 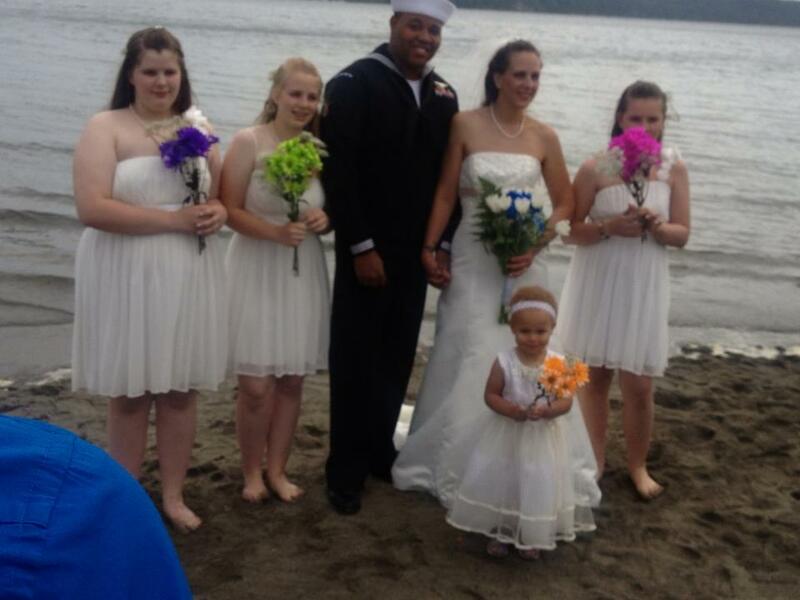 My name is SFC Paul Johnson (Ret), the dream I have is to take my fiance, Sandra and our son to Disneyland. After all she has done for me this is the one thing I want to do to show her my appreciation for what she has done. 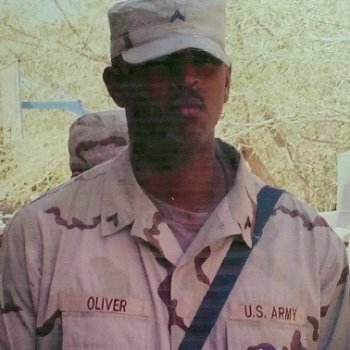 In 2003, while serving in Iraq I was wounded. I was treated at the field hospital and returned to my unit. The blast fractured bones in my lower back. Upon my return to the states I asked for help to deal with a wide range of injuries and help with my PTSD. 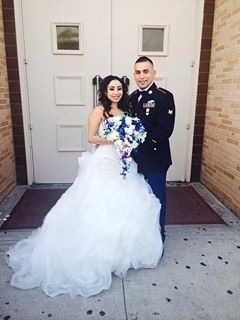 While in the Wounded Warrior Program I met my fiance Sandra. She helped save my life in many different ways. At the time I was dealing with a heavy drinking problem and misusing my prescription pills. In 2013, I was medically discharged from the Army for PTSD, TBI, neck and back injuries and ankle and shoulder injuries. In January of 2014 I had surgery on my right shoulder and there was a complication with the surgery and I almost died on the table. They had to revive me and when I came to all I wanted was Sandra and our son. In March of 2014 they finished the operation. In December I was fully disabled at 100% by the VA and my PTSD was rated at over 70%. All I have ever wanted to do is show Sandra how much I am thankful to have her in my life. She has had to endure my ups and downs and two near death experiences in 2014. She has had to help me over come my drinking problem and find ways to deal with my anger and so many other things. With out her I would not be where I am today. She has become my angel in so many ways. It would mean the world for us to go to Disneyland as a family and help bring light to so much darkness. 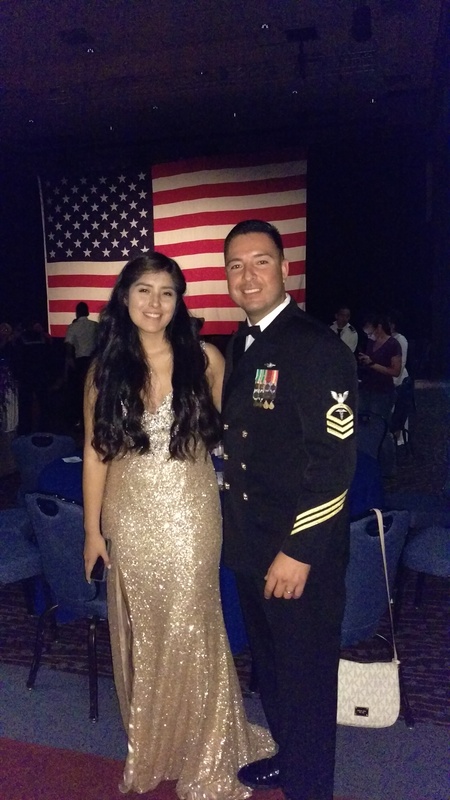 I recently returned from another deployment and would like the opportunity to take my beautiful wife and two kids on a family vacation to Disney World. I would like to take my family of 4 on the 4-day Park Hopper that way we can enjoy all that Disney World has to offer. Disney World is somewhere my daughter Evelyn (6) and son Jacob (4) have always wanted to go, but with work and deployments we've never been able to plan and execute the trip in the past 6 years that I have been in. 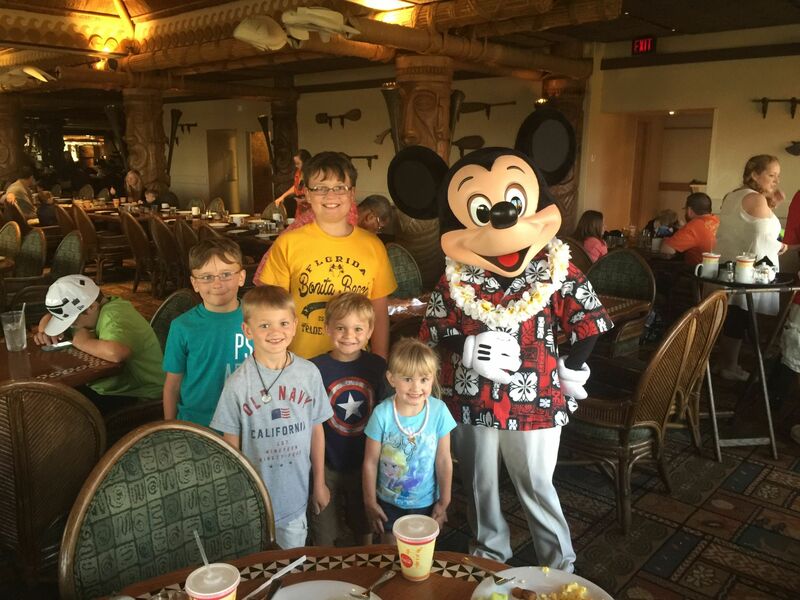 As I prepare for my post-deployment leave, I hope that I can make my kids dreams come true by taking them to Disney World to have an incredible family vacation that they will remember for the rest of their lives. 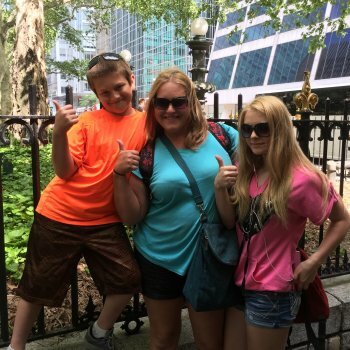 Nothing makes me happier than seeing the smiles on my kids faces as they are having fun, so I can only imagine how great of a feeling it would be at Disney World. 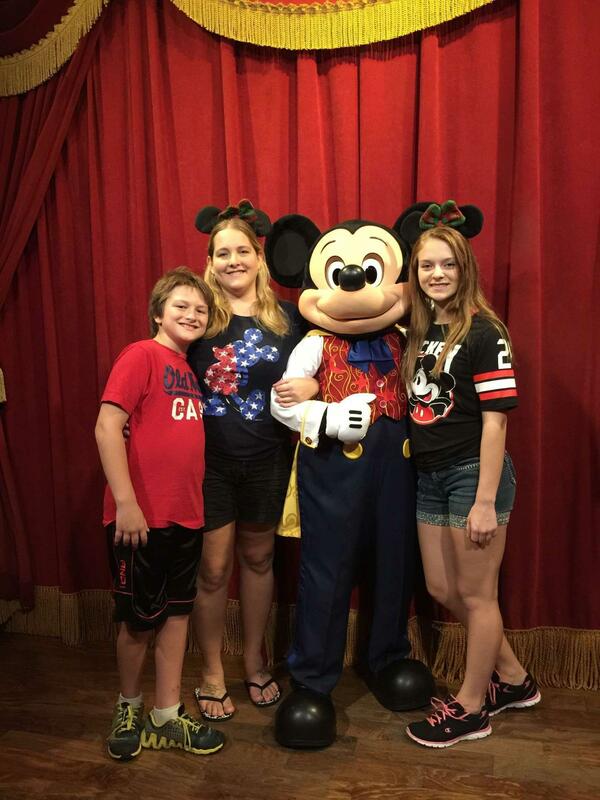 My family and I had an amazing time at DisneyWorld, I'm very grateful to have experienced it with my kids and hope it is something they'll remember for years to come. 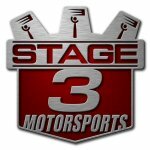 Thanks Stage 3 Motorsports for their generous donation and VetTix for helping make it possible. My name is SSG. Casey McEuin. 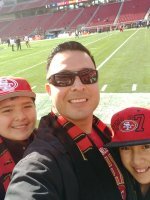 Prior to deploying to Afghanistan in 2011 I made a promise to my 3 kids that when I returned home that I was going to take them to San Francisco to a 49ers game when the new stadium opened. Unfortunately, I was injured late in 2011 and received numerous surgeries and subsequently was medically retired from the Army. 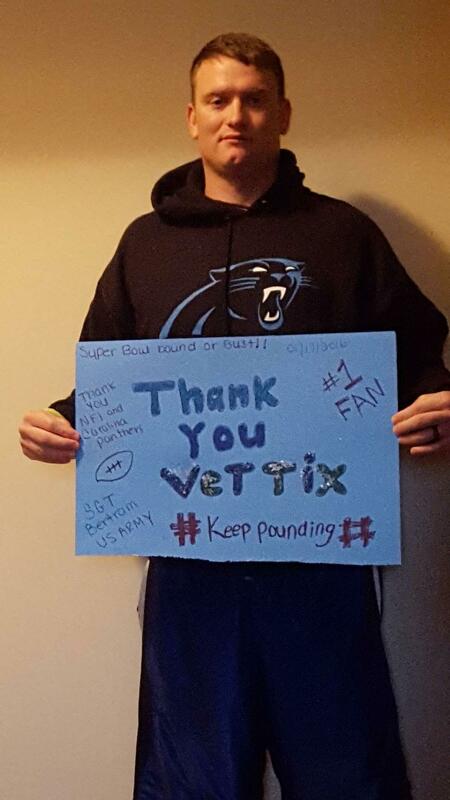 I get asked constantly when we will go to the game, but with not having the means to afford to take them to the game, I put my faith and goodwill into Vettix.org to assist me in fulfilling the promise I made my children. Thank you! Thank you so much to the Donors that helped my children and I live a dream come true. 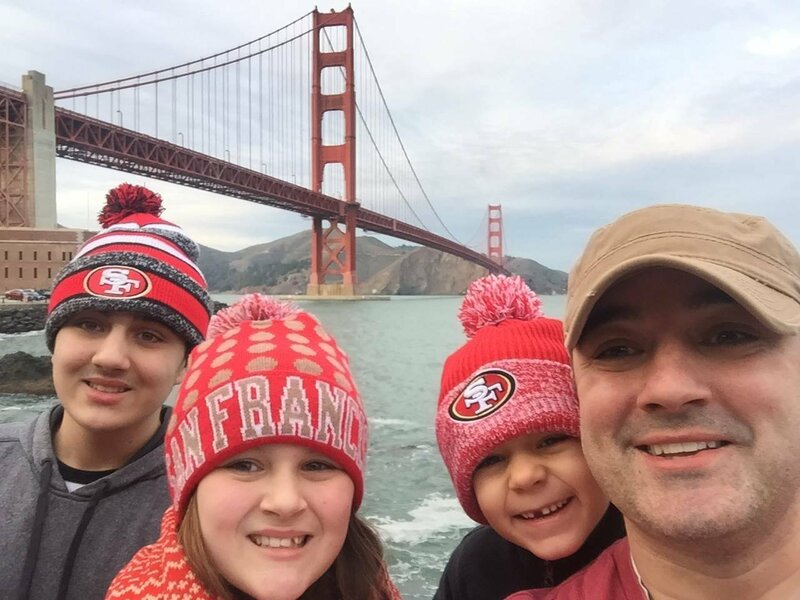 I was able to fulfill a lifelong dream and bring my children to a San Francisco 49ers game. Not only did they give us tickets, but they gave us field passes that gave my kids the opportunity to shake hands with some of their favorite players. Thank you so much! 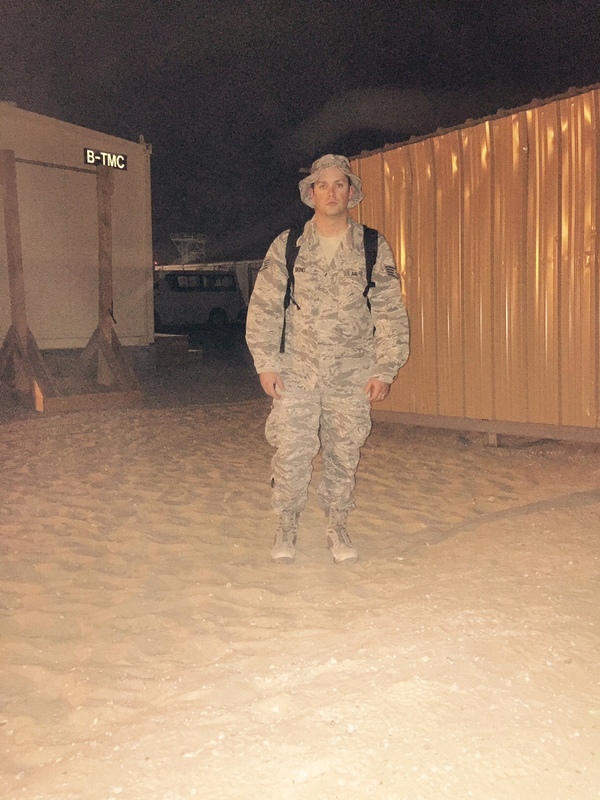 My name is T.J., I serve in the US Air Force. 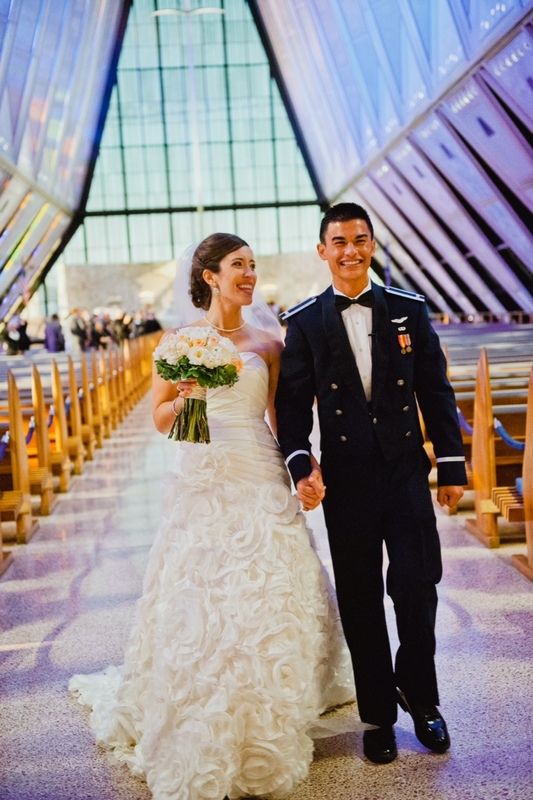 My wife, Sarah, and I got married just over two years ago in the middle of my AF training. As such, we were unable to take a honeymoon at the time and have not had the opportunity since due to non-stop training and a deployment. My wish is for ski lift tickets for two days in Steamboat Springs, Colorado. 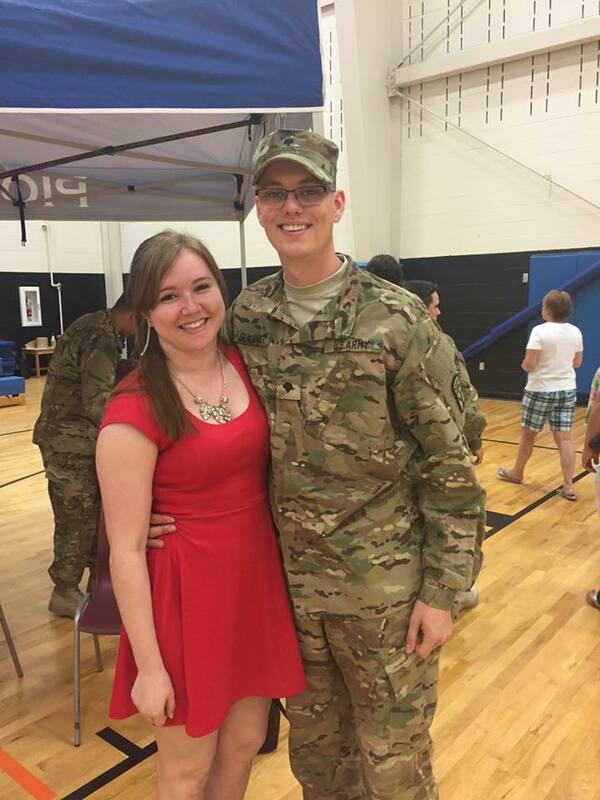 I am finally back from my deployment and have the time off to be able to take Sarah on our dream mountain honeymoon. We are stationed overseas, but we are making the long journey stateside to spend the holidays with family in Colorado. Our plan is to take a few days for ourselves to spend in the beautiful Rocky Mountains. 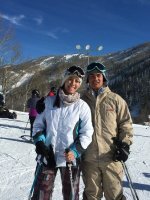 This will be our first time ever skiing together, so it will definitely be a lifelong memory. Thank you to Vet Tix and the generous donors (Angie and Andrew) who helped make our wish come true. 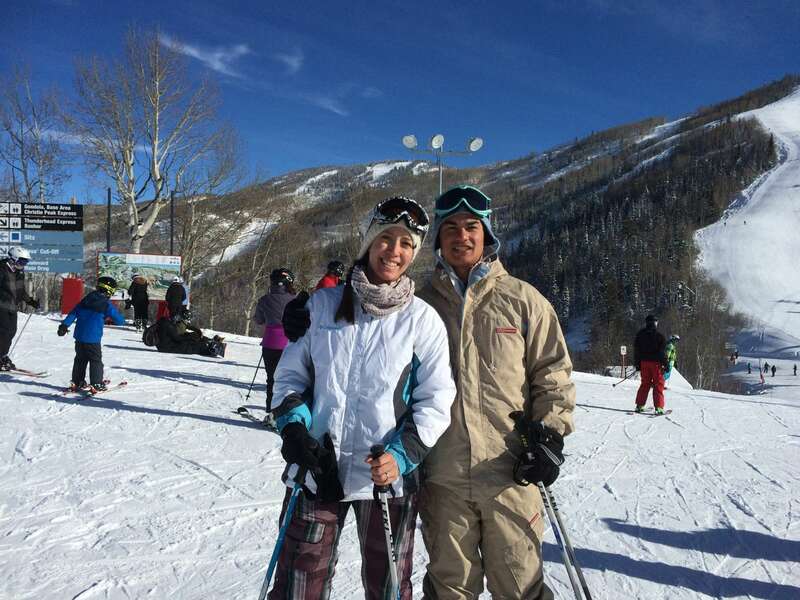 My wife and I were able to spend two beautiful, sunny days skiing in Colorado's amazing Rocky Mountains. We had a wonderful time and made memories that will last the rest of our lives. Thank you very much! My name is Nick Buchhaas. I am a retired Marine CPL. 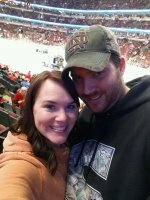 With putting my wife and children first I would never be able to attend a Blackhawks game. I am asking for this wish to take my wife and children to have this experience together as a family. I would like to thank anyone who visits this page and even more to those who donate so my wish can be fulfilled. I would like to thank everyone who donated to make my wish possible. 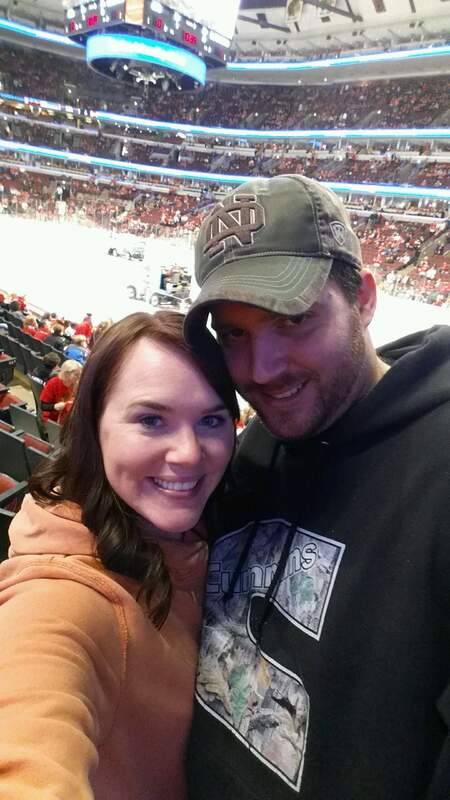 We had a great time and had great seats, and of course even better the Hawks won! 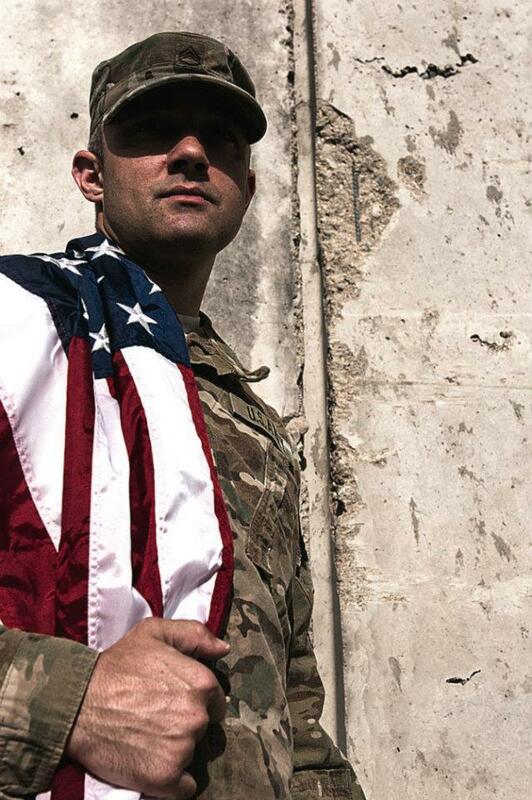 I am Thaddeus Willey and I served 13 years. I was hit by an IED in Iraq in 2009 and med-evaced to Walter Reed army hospital. After about a year of recovery I was then medically retired. 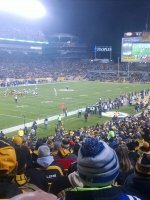 I would like to take my family to a Steelers game as it has always been a dream for us. I am requesting 4 tickets to a Steelers home game for myself, my wife and my 2 daughters. Thank you for reading. Thank you vettix and Pittsburgh Steelers for giving us the chance to go to a game. 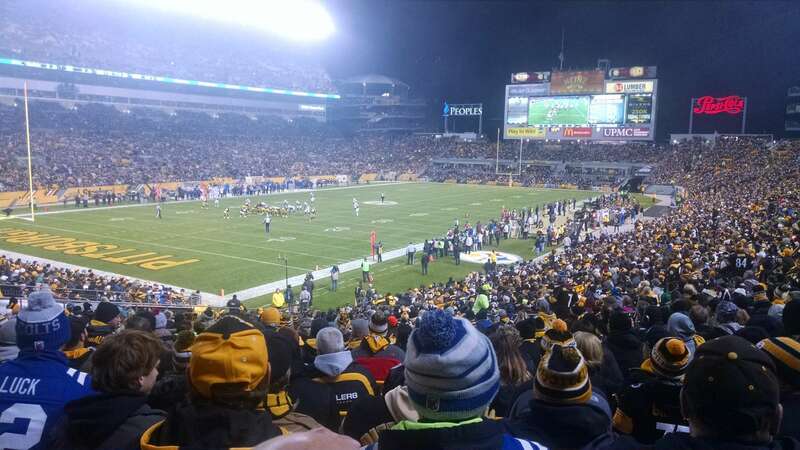 Had a great time and enjoyed watching the Steelers dominate at home. I have served this great nation for 16 years and take pride in serving alongside some amazing Americans. I have recently been selected to deploy to Afghanistan. I have served in Iraq three times, and Afghanistan once already. So this will be my fifth combat deployment. I am a Hospital Corpsman in the United States Navy, and I love what I do. 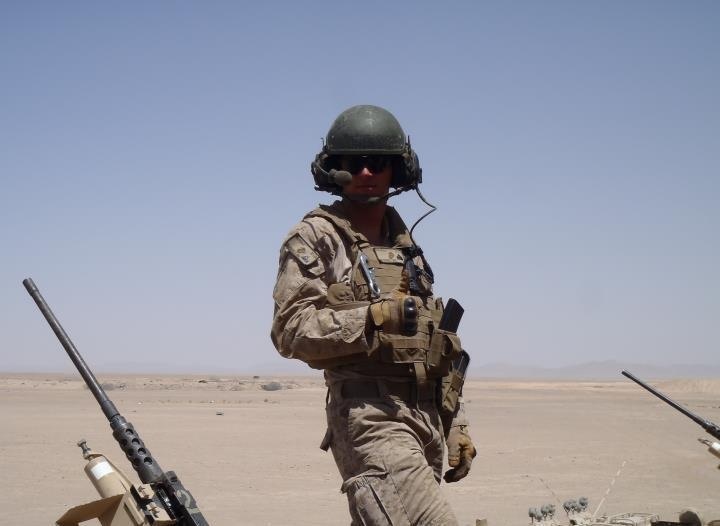 I have the distinct privilege of taking care of the U.S Marines in combat and back home. I will continue to take care of those Marines till the day that I retire. My job comes easy for me since this is what I have been doing since I was 17 (Parent waiver). But it is hard on my family. I have been married to my wife for almost 13 years, and I have three beautiful children, 18, 11, 9. These deployments are always hard for us, but I have a wonderful support network of grandparents, brother, and in-laws. My wife and oldest child have been through every deployment, and my two youngest vaguely remember me being gone, because they just thought I was working. But now they are older, and understand where I am going, and what I do. I want to have a memory that both my family and I can enjoy, and give something to them to laugh and reminisce about while I am deployed. 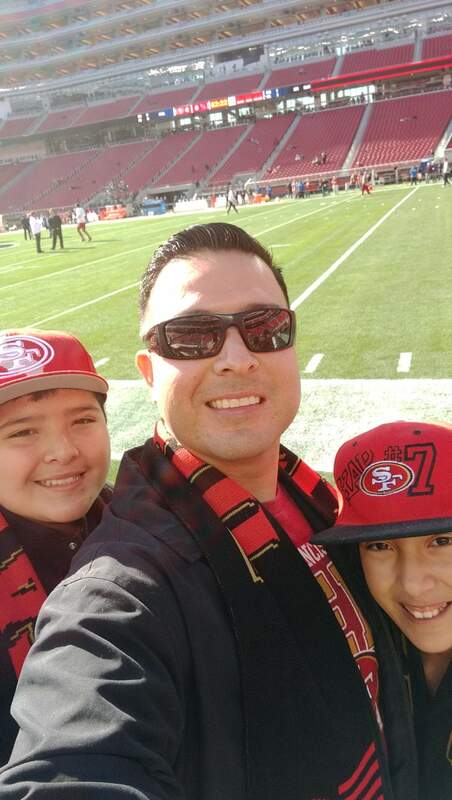 I was breed a Niners fan since birth by my grandfather, and my wife, who never used to watch football till she met me, is a die hard fan, and is always there with me watching them on television. I have raised all my children to be Niners fans, and there rooms are decorated with Forty-Niners memorabilia. So since it is football season, I thought the most fitting Heroes wish would be to watch them live. None of my family members, including myself, have ever been to a professional football game, and who better to watch than the SAN FRANCISCO 49ERS!! I am humble to be considered for this opportunity, and I would like to thank VET TIX for offering this opportunity, and all of those make something like this possible. You are great Americans for supporting a foundation like this. I would be thankful for the opportunity to watch any 49ers game at Levi stadium. I had a dream come true for my family and I. It was truly a blessing and I want to thank the Veteran Tickets Foundation, and the donors who appreciate what I do, and helped make this wonderful event happen. Words cannot express how grateful I am that you made this moment and memories for my family. The game was energetic and nothing like I have experienced before. This was a moment for my family and I to experience before my deployment. From the bottom of my heart, thank you for your help in supporting Veterans and making their wishes come true. 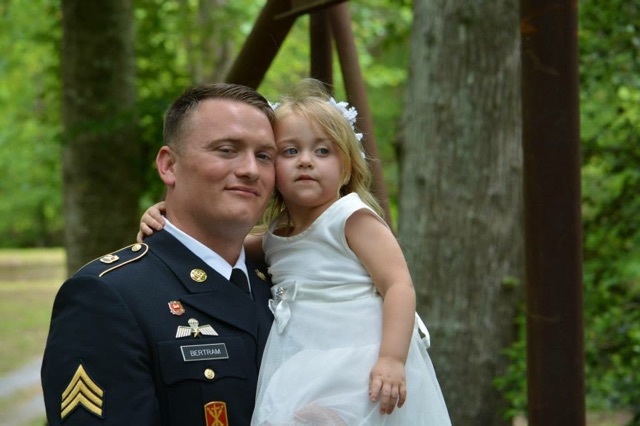 Greetings, my name is Jason Adams and I recently returned from my fourth deployment. I am stationed at Joint Base San Antonio-Lackland, but I'm coming back to Denver to spend some time with my brother and sister and their families. This will be the last visit for awhile as I am being stationed in South Korea for two years. I would love to take my wife and kids to see my team, the Denver Broncos, when they play the New England Patriots on November 29th. Thank you so much for taking the time to read this, and GO BRONCOS!!! To say thank you to those who donated to make my wish come true is simply not adequate but I will do my best with this message. Truly, from the bottom of my heart (and my wife's heart), THANK YOU SO MUCH to the Veterans Ticket Foundation and the other donor (please let me know who you are so I can thank you personally!) 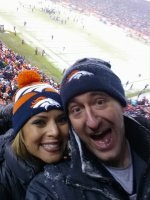 for the gift of tickets to the Broncos/Patriots game, which turned out to be the best game of the season! I have not had such an amazing, wonderful time in many, many years! We are truly humbled and blessed by your generous donation (a donation that must have been painful, given how popular this game was). We truly appreciate your gift, as we had the absolute time of our lives. You know little about me, but you gave anyways, and for that we are blessed beyond measure. Thank you, and I hope to be in a position some day after I retire where I can grant the wish of another deserving service member. You have inspired me and I am truly, humbly, grateful. God bless! I am currently deployed. 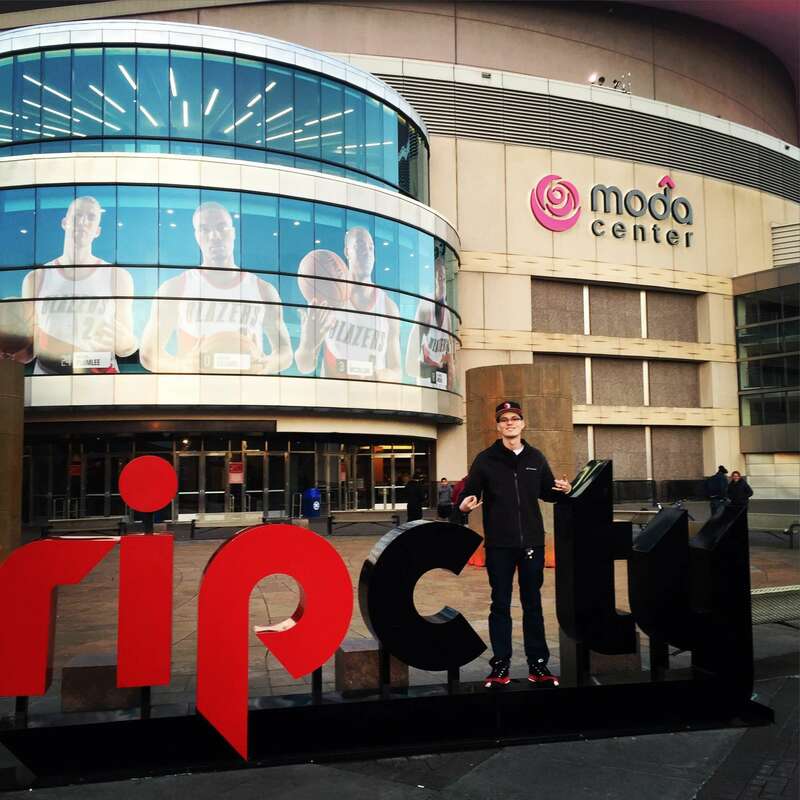 I am coming home in a few weeks and would love to catch a Portland Trailblazers game vs. the LA Lakers on the 28th of November in Portland. 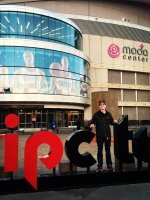 I am a huge Basketball fan and would like to go see Kobe Bryant before he retires. I'd also just love to go to a game. I haven't been to an NBA game in years. I'd love to thank the Trailblazes for the tickets to the game this last Saturday! I had a blast and was much more the I was expecting. I'd like to thank Leupold for the sweet binoculars and the jersey! I have never felt so proud when they were reading my story about my service. When the fans gave me a standing ovation it brought tears to my eyes. Was a really heart warming experience and a perfect welcome home thanks vet tix you guys rock! Thank you so much for granting my wish for going to the Green Bay Packers game on Thanksgiving Day! It was such an amazing experience being able to take my family to their first Packers game. Even with the rain and cold weather, it was a day I will never forget. Thank you vet tickets and the individual donors that made this possible for me. You guys rock! My name is Angela Hause. I'm the proud mother of two amazing kids. Alexis age 13 and Cody age 10. 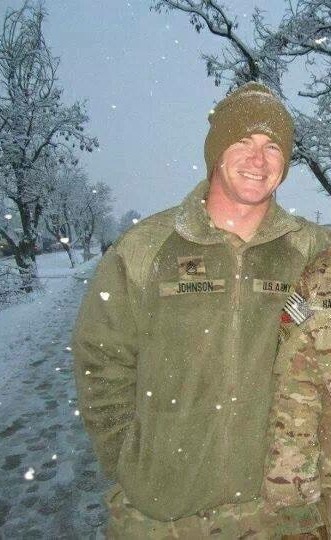 We lost their father SSGT Brian Paul Hause on 10-23-08 while he was stationed in Ballad. It's been a rough few years for us with moving to a new state, new school and the daily challenge of raising kids without their father. Even with all they have been through my kids are smart, and kind and amazing young people who are so much like their father. Life has not been fair to them and with each year brings new challenges and hardships for them having to grow up without a father. I know vacations cannot fix things but it can bring a smile to their faces and give them some wonderful memories to help when they days aren't filled with many things to be happy about. Time of year does not matter. We have been to Orlando and love it. I would love the opportunity to take my children on a dream vacation to Disney World in Orlando Florida. We got engaged at Disney World so that place holds a special place in my heart. I'm not asking for all just giving some options as anything would be amazing for them and they would love to go to any of those places. Thank you for taking the time to read our story and thank you for helping me to make a wonderful memory for my children. Thank you so much Vet Tix and all our sponsors for giving us this wonderful gift. We have had a Magical time here and have made many memories that will last for a lifetime. My name is SGT Aaron Kent. I have three little girls, oldest is 4, 2 and a 5 month old. I missed the oldest being born, and just barely made it back for the last 2. I am missing my oldest daughters first day of kindergarten due to being up at fort Leonard Wood for Advance leaders course. 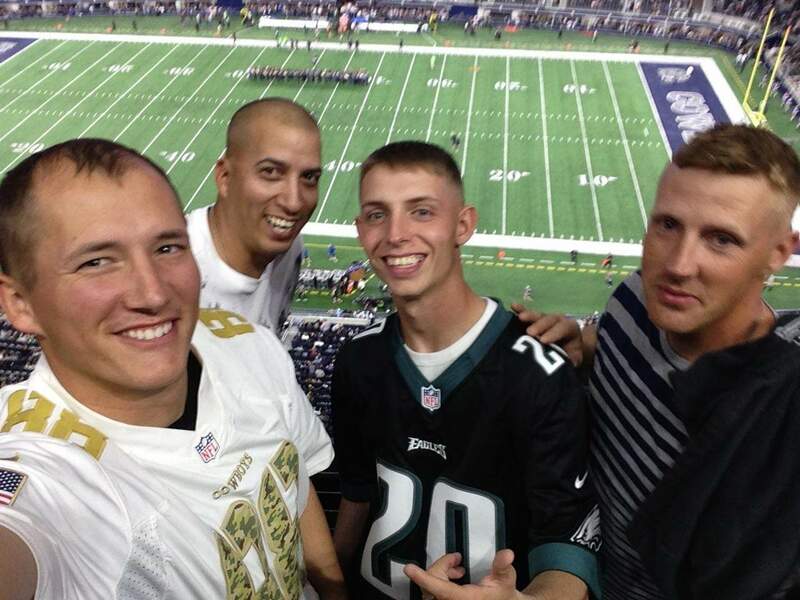 Me and my three friends wish to go to see a Dallas cowboys vs Eagles game with your help if possible. CPL Ross, SGT Arce, and SPC Sigers, All three of us met at fort hood, and have been with each other all through the deployment to Liberia. we all look out for each other and talk about Sports and Fantasy Football to help the day go by. 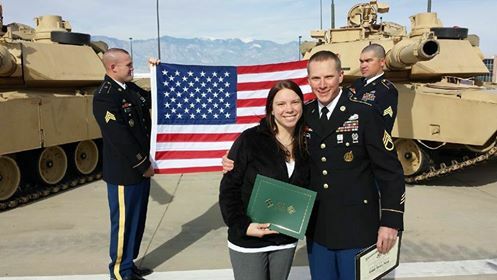 SPC Sigers and his wife were blessed with a beautiful baby boy just a week before we left so that was really hard on him for his first deployment, and my wife was having complications with our daughter during her pregnancy which scared me while I was waiting to get back to her and my girls. But thank god I made it back in time to see the birth of my beautiful daughter Emma.